Look out….I’m feeling kinda full of myself right now. But I’m also feeling very proud of myself because I used up the vegetables cluttering my counter and fridge. It’s no big deal, really. I just made dinner. But I didn’t have a clear cut recipe (the classic “nothing to make” syndrome) so my big victory was found in using up the fresh items I had on hand instead of letting my hectic schedule get the best of me until they all found their way into the compost bin. It happens far too often. I’m not proud. Not that cooking a few veggies is hard, but sometimes just trying to figure out what to do with them takes more time than I have. Today, I was determined NOT to let my precious veggies go to waste. I was also determined NOT to go to the store. 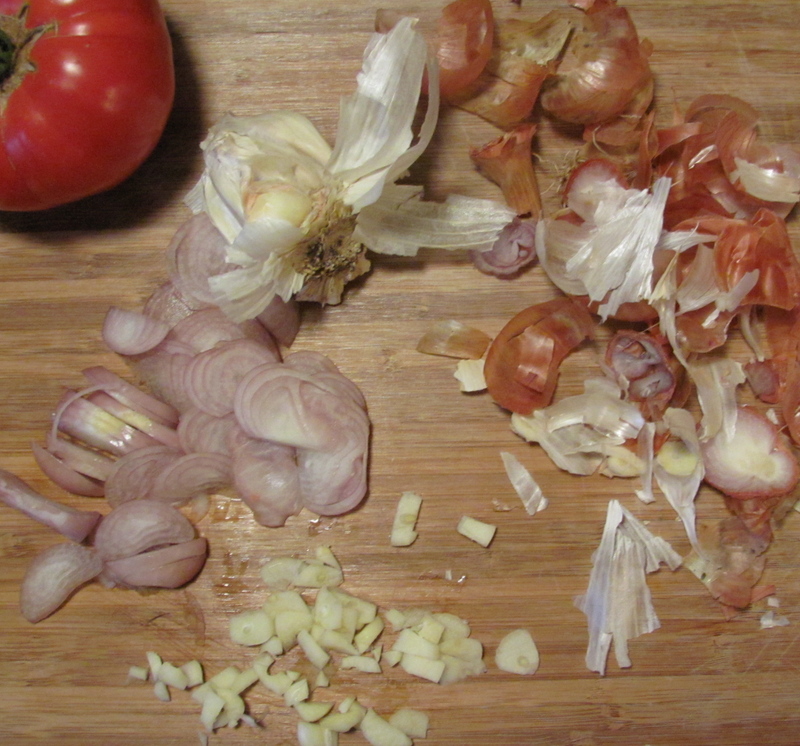 So I let the kitchen muse take over and started tossing ingredients until they looked like dinner. You know what? It was GOOOOOODI! Brown beef, shallots and garlic (I used an electric skillet.) Add all other ingredients except couscous and cheese. Cook on low for 30 minutes. Remove bay leaf. 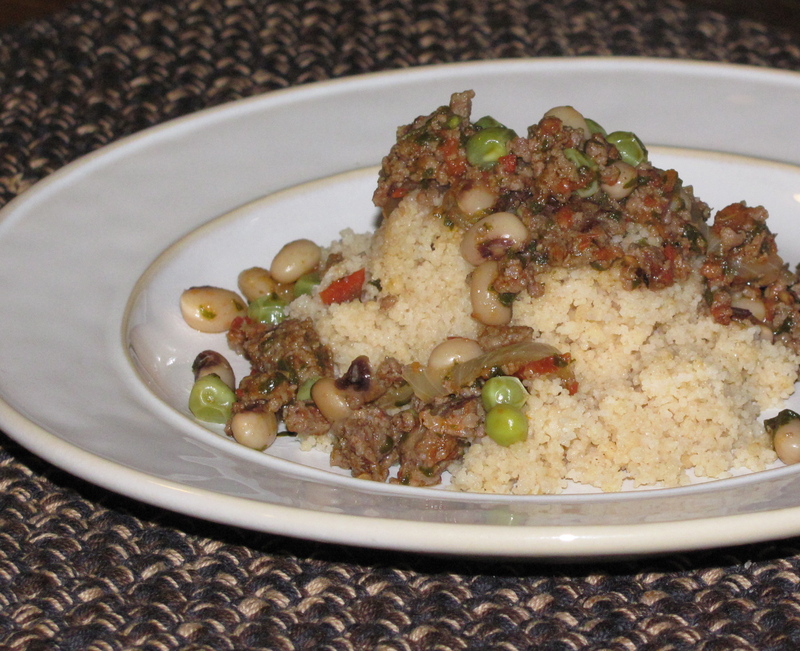 Serve over couscous; top with cheese, if desired. I said it was good, I never said it was pretty. …but I have to admit, I’m pretty proud of myself for making something out of nothing. The only problem: What do I call it? Do you ever have a problem using up your fresh ingredients? What’s your favorite way to use things up when you have a variety on hand? I always feel terrible throwing stuff away! I try to freeze what fruits I can, and with most veggies, I can make a big pot of fridge-cleanout-soup (kind of like this), where I boil everything together and then purée it with some seasonings…though I admit, hot soup doesn’t always sound as appetizing to me in the summer! That looks delicious. 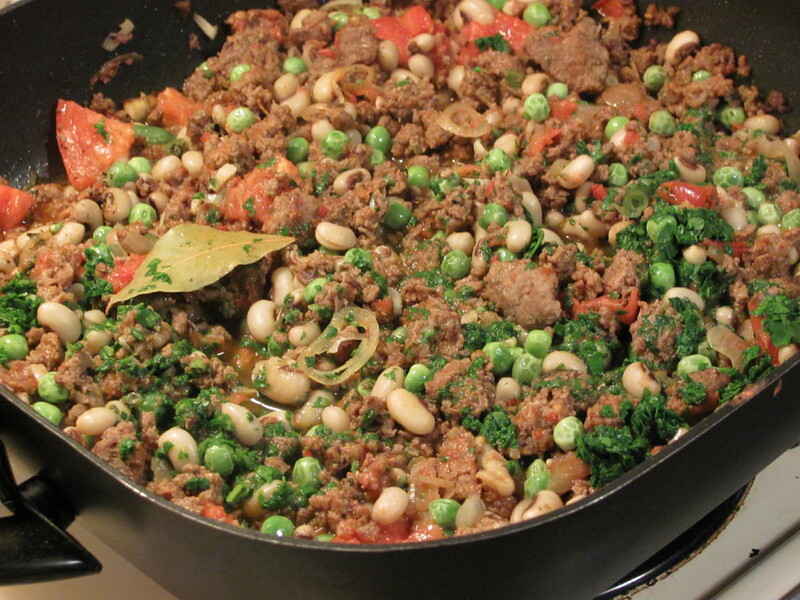 I used to make a similar stew like this, except with corned beef, and frozen vegetables like corn, lima beans and carrots. I seasoned with cumin, curry, cardamom, black pepper and salt. I ate that over rice, drizzled with olive oil. Very tasty indeed!